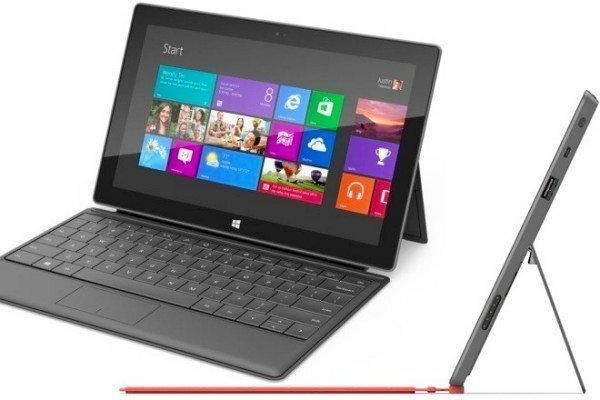 We’ve been following news about the Microsoft Surface tablet, which is due to be released on October 26. There’s been a big amount of interest in this tablet and many have labeled it a credible alternative to the Apple iPad. However if you’re one of the many who have pre-ordered this tablet, especially if you are in Canada or the UK then we have some slightly alarming news. The Microsoft Surface tablet will come in two models, the Windows RT Surface and the Windows 8 Pro Surface and this delay refers to the Surface RT. Although Microsoft is said to be readying five million of the devices ready for the launch it appears there may not be enough to go round, initially at least. Pre-orders are already proving popular and the Canadian and UK Microsoft Store sites are already listing the Surface as sold out. However, those who ordered early were given a shipping date of October 26, to tally with the original scheduled release date. Now though, some of those who were given October 26 as a delivery date are receiving notification by email that this has been delayed until November 2. The emails simply state that the release date for the product has changed to November 2 but gives no explanation of why. As you can imagine this is causing a fair amount of consternation and of course will lead those in other countries who have pre-ordered, wondering about the status of their orders. As Engadget reports, it’s still possible to pre-order the Surface from the US Microsoft Store site although none are now pledged for delivery on October 26. At this time though we haven’t heard of any US customers given the October 26 release date who have received notification that it will be delayed. It will certainly be interesting to see how this one develops and we’ll be keeping tabs on further news. You may also be interested in our article comparing the Microsoft Surface to the new iPad here. In the meantime we’d really like to hear from people who have already pre-ordered the Surface RT. If you have received notification that the release has been delayed to November 2, then please let us know and also tell us the region you live in so we can get an idea of how widespread this is? It would be interesting to know if others in the UK or Canada have NOT received notification and still expect to receive the Surface on October 26 and alternatively if readers in other countries have also had their delivery delayed? Send your comments to let us know. UPDATE – Engadget has now updated its original post as Microsoft has been in touch saying that emails sent to customers about a release delay were incorrect. Therefore if you were originally given a delivery date of October 26 when you pre-ordered then this still applies. The Microsoft statement also says that any customers that received one of these errant emails will be sent another mail clarifying the situation. It’s actually pretty good to see a company respond quickly to a situation such as this and hopefully this clears things up and potential owners need not worry. Ordered a 32GB Surface and Touch Pad on Tuesday at 6:30,only an hour and a half from it being available and I got an email saying it was delayed this morning.No reason given though I think it’s because of a problem at customs.Slightly annoyed but as long as no one else I know get’s theirs before me.Also a free gift wouldn’t go a miss because it was promised for the 26th. I ordered my Surface at 5:40pm on the day of pre-order and got the email saying it would be delayed. It is not the fact that it is delayed that is the upsetting part, I have waited this long for it and and can wait a week longer. But in the manor at which Microsoft have done it, for example I received the email at 4am this morning with no explanation and no announcements from M$, plenty of rumours and speculation tho, and of course it being on a Saturday there is no one at the store to speak to. 4) Is this a change to the release date or just a delivery slip in a few countries? I order a 32Gb Touch Cover roughly 2 minutes after they opened the pre-orders and I got an email saying it will be the 2nd Nov. I’m annoyed because I’m impatient and just want to get on and have a play instead of reading about it, or seeing the glee cast dance about with it. I live in the UK and have had the delayed until November the 2nd email even though I ordered it within hours of I appearing for pre order on the Microsoft UK website. Me and my friend have both ordered the 64gb RT and HAVE NOT recieved the e-mail so we a hoping for the 26th. We both live in the UK in Nottinghamshire. I got the e-mail stating Nov 2nd, and I per-ordered 62G RT with keyboard first thing that day. Calgary, Ab. Canada. Opps – I meant the 64G RT, not 62G. Oh I for got to say Its the 64gb Surface I ordered with the HDMI adapter, so maybe only the 32gb surface is affected by this delay….. Ordered late on the day pre-orders opened – ordered both type and touch keyboards, the VGA adapter and a 64gb surface. Have received delivery delay notifications for the type keyboard and VGA adapter but not the surface…. @surface: An incorrect email was sent to several customers who preordered #Surface. Customers should expect their devices by the original date given. Engadget update their store with a comment from Microsoft. Looks like the email was an error and things are still shipping on time. I just told by the Microsoft store today that my order would be delayed. I preordered on the 17th and my invoice promised delivery by 10/26. Today I was told my unit would not ship until 10/26 and would arrive up to 7 days after that. I am kind of furious.